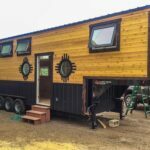 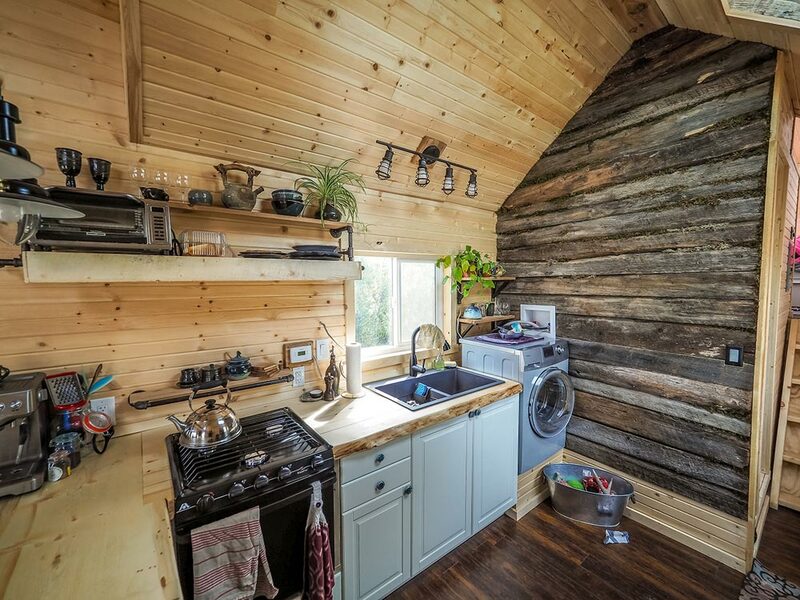 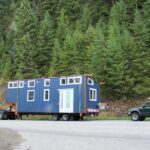 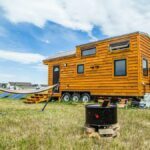 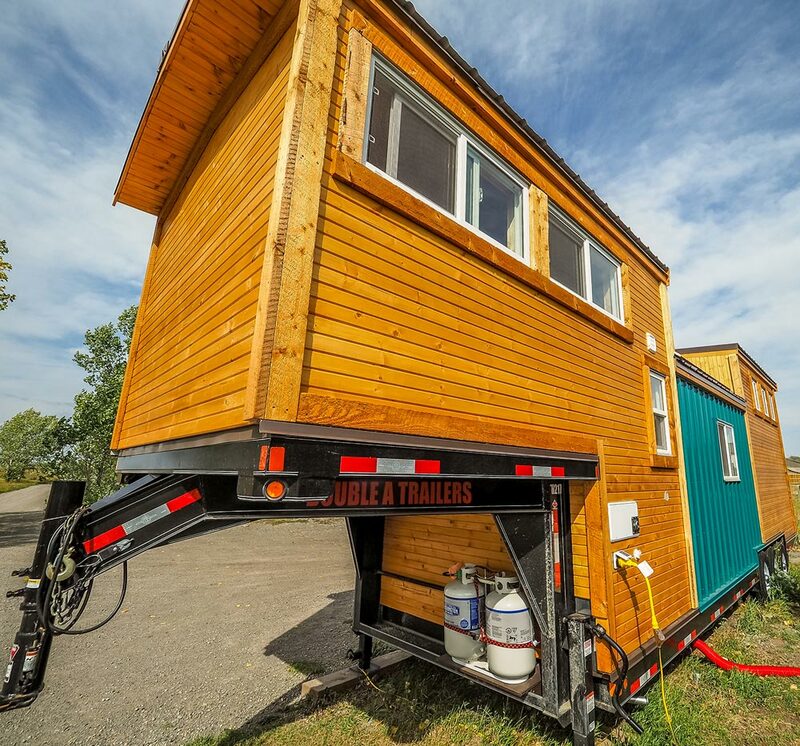 The Raven is a 37-foot custom gooseneck tiny house built by Calgary, Alberta-based Blackbird Tiny Homes. 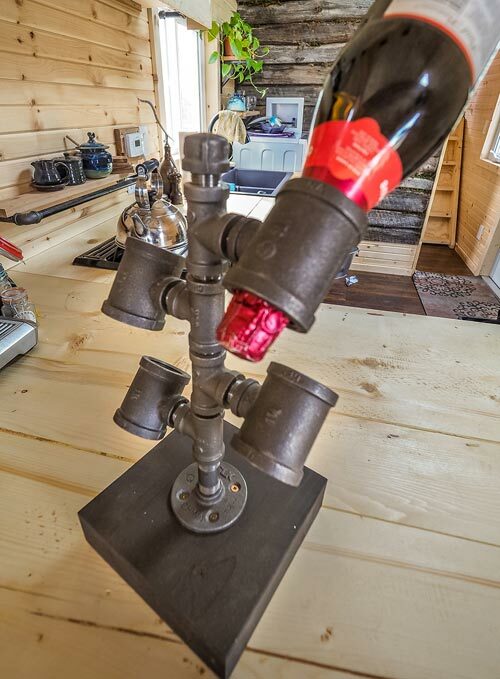 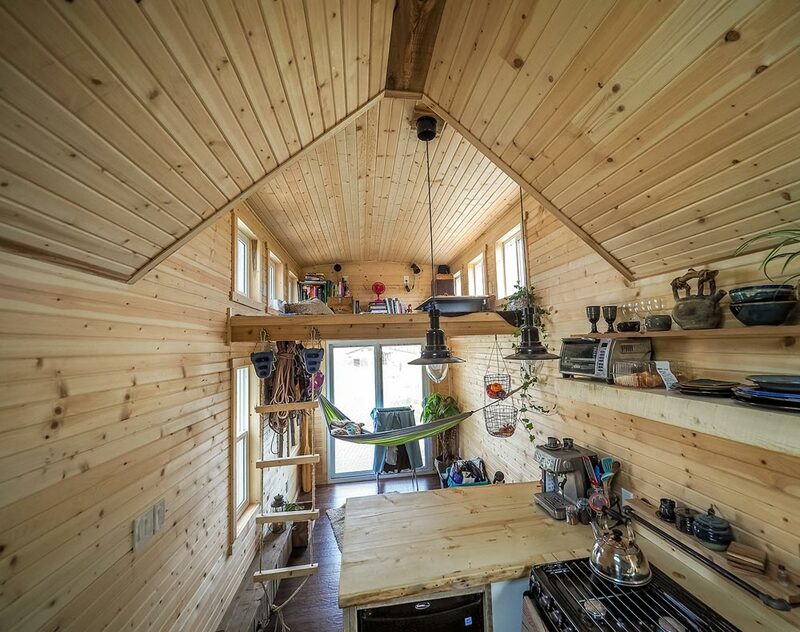 The home is built to operate off-grid and withstand the cold Canadian winters. 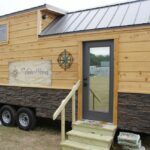 The exterior cladding consists of pine tongue-and-groove siding mixed with metal accent pieces to add some color. 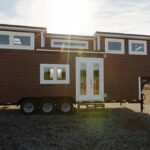 There is a 36″ side entry door and rear sliding glass door. 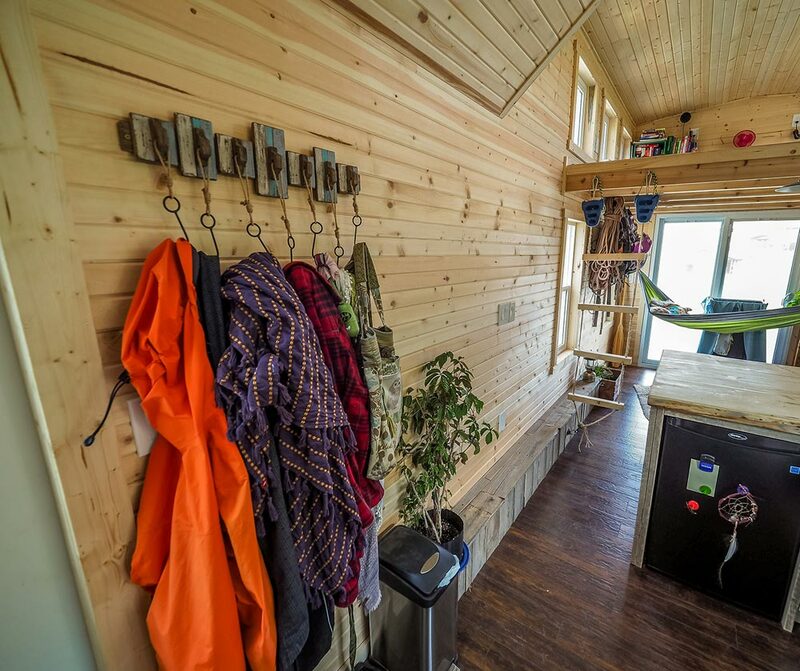 The home was spray foam insulated with R-22 in the walls and R-33 in the ceiling and floor. 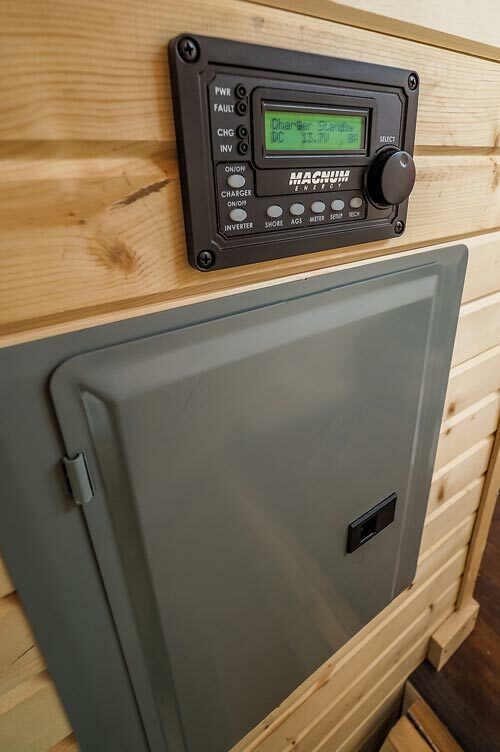 The off-grid solar system includes a Magnum 2000 watt inverter/charger, two 300 watt solar panels, and two 440 amp hour maintenance free batteries. 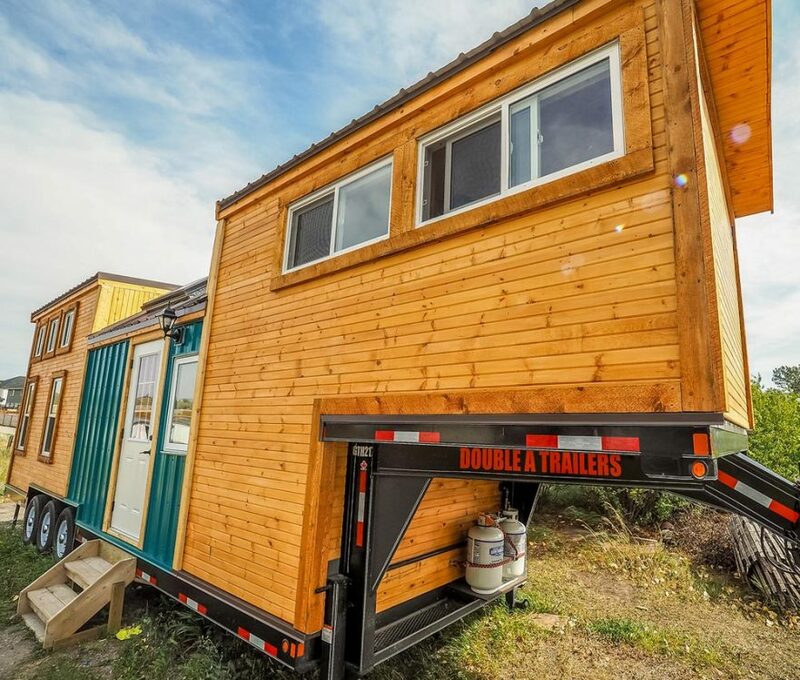 This can be upgrade to a higher capacity inverter and the battery bank can be doubled (or more). 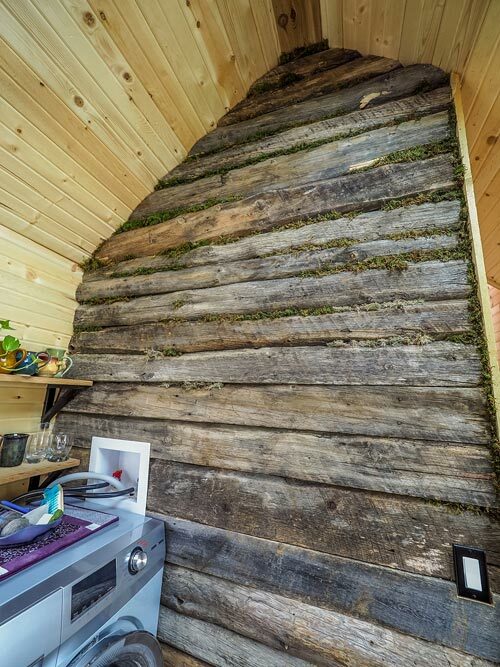 The kitchen features a rustic barn wood wall with moss filling the cracks. 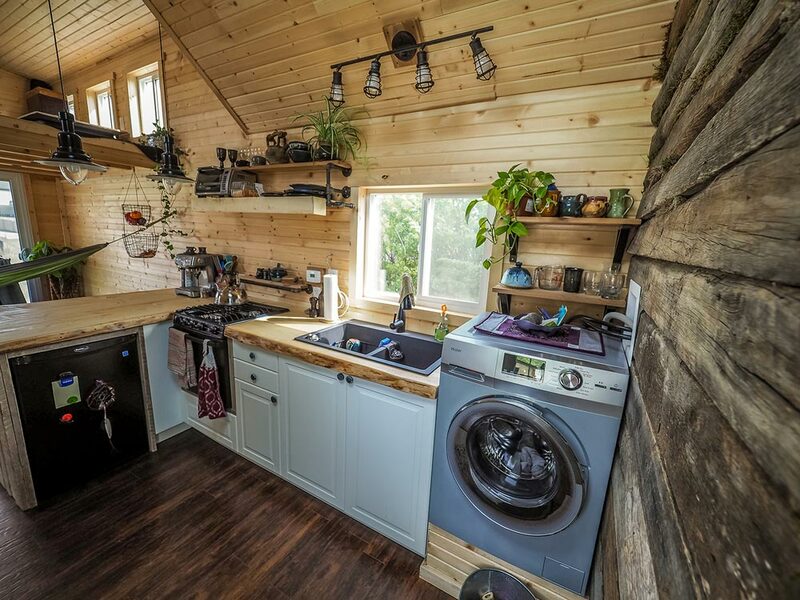 The kitchen is equipped with a propane range, bar fridge, double granite sink, custom 2″ thick spruce countertop with live edge, washer/dryer combo, and IKEA cabinets. 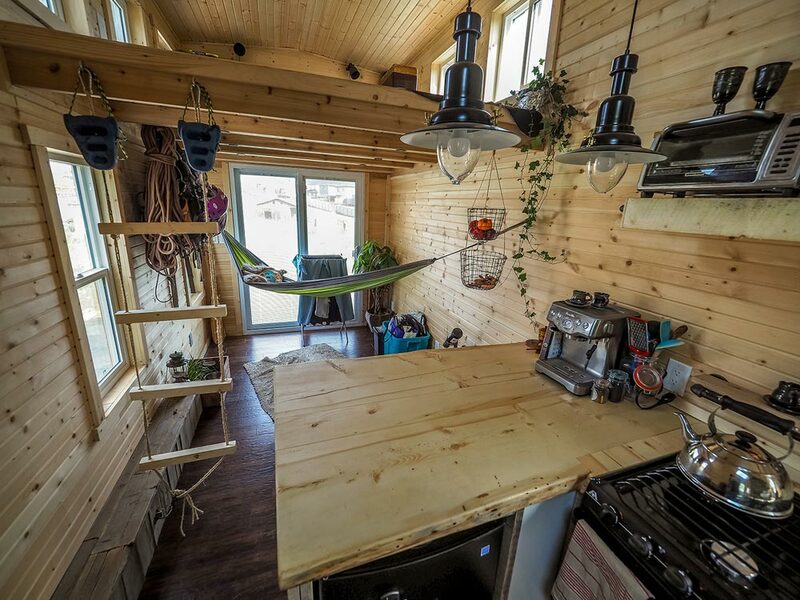 The counter overhangs to provide an eating area with two barstools below the hanging lights. 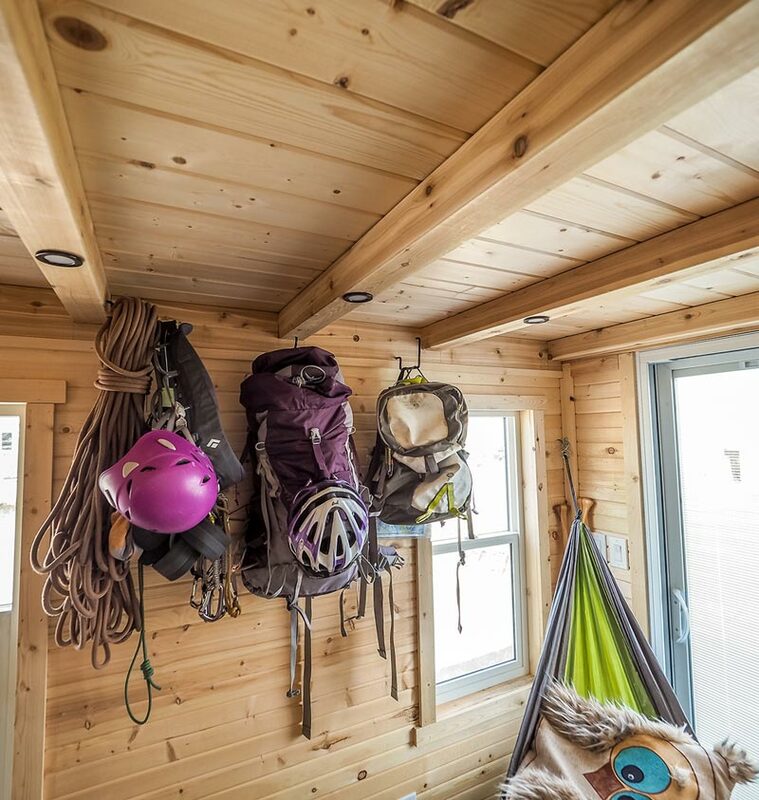 The client loves to rock climb, so she has plenty of room to hang her climbing gear and even hang her hammock. 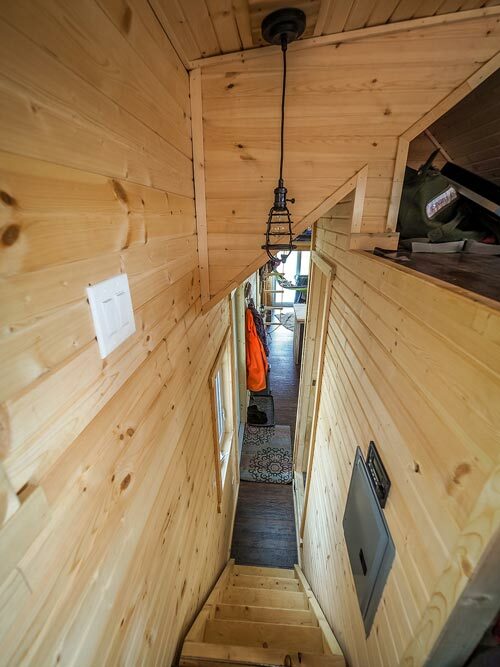 The client also made the hanging ladder that leads up to the second loft. 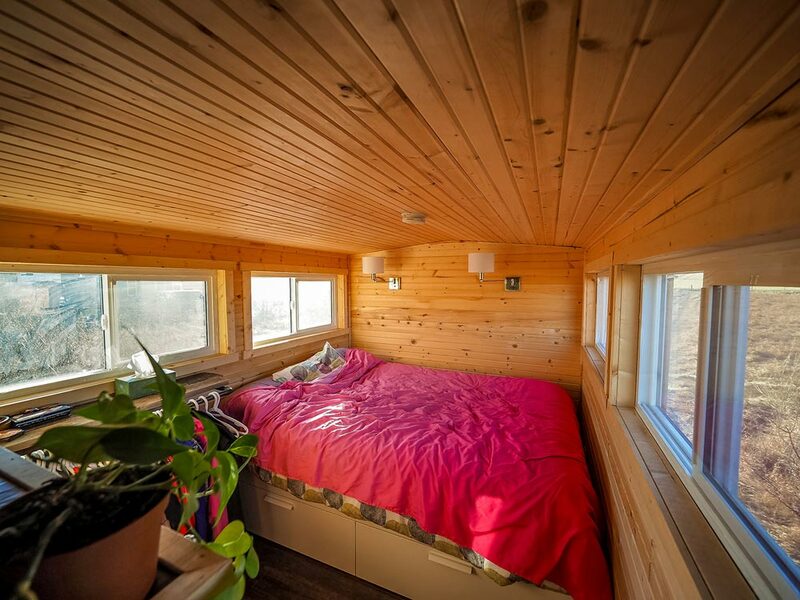 The master bedroom is located over the neck of the tiny home and is large enough for a queen bed. 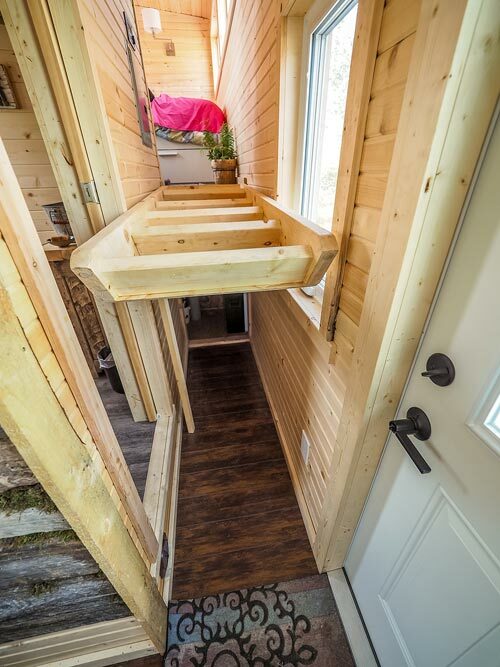 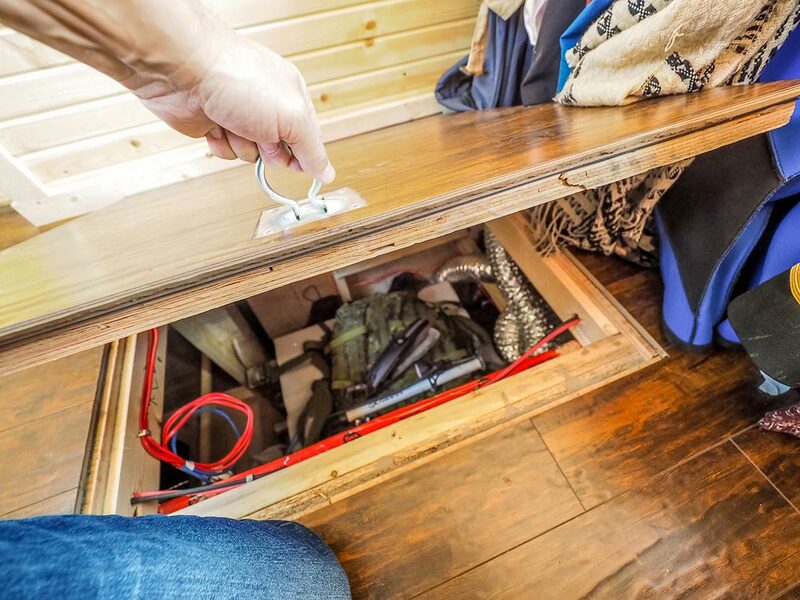 There is room for clothes storage and also a floor hatch to access the utility storage. 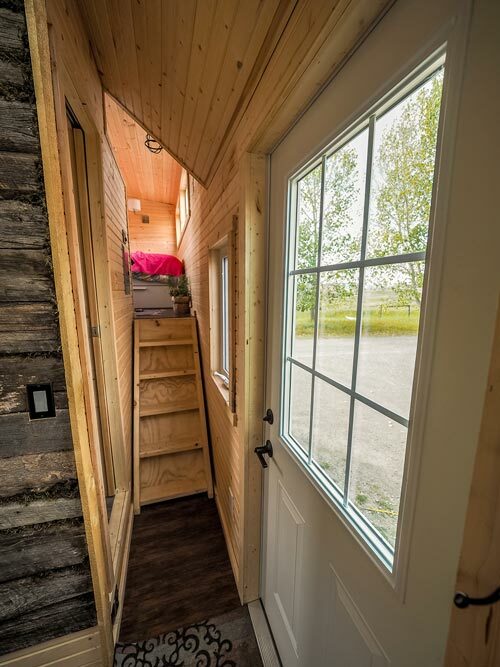 The flip up stairs also provide utility access. 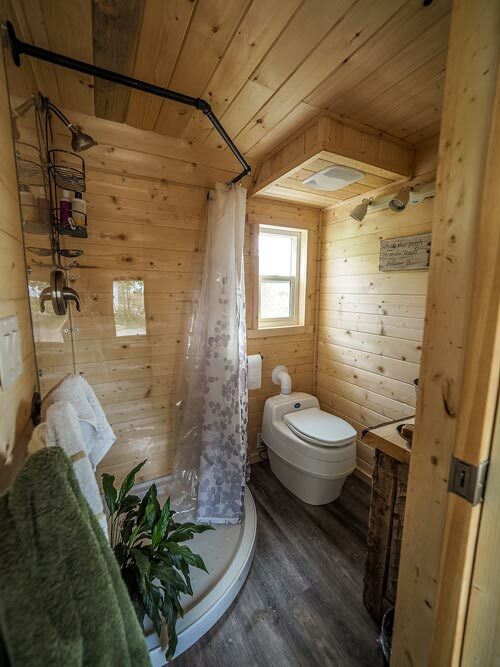 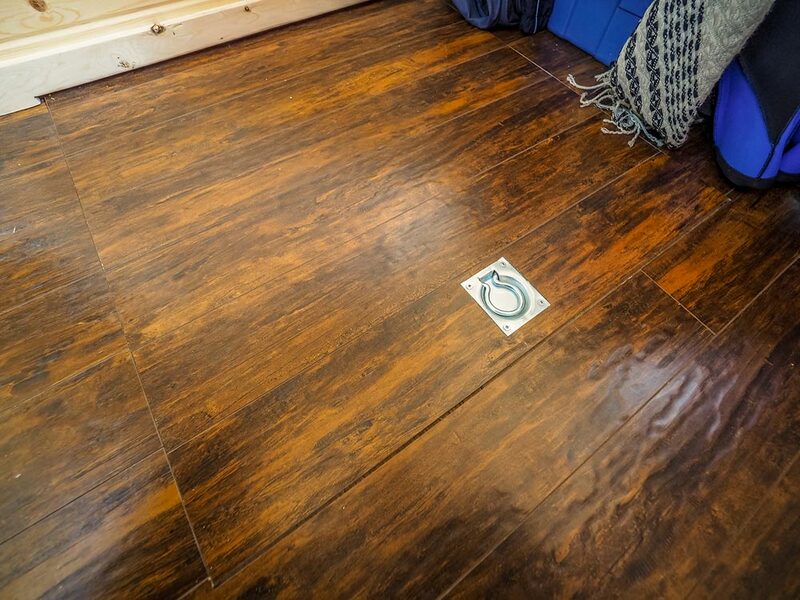 The bathroom includes a custom shower with acrylic clear walls and black pipe shower curtain rail, Separett composting toilet, and waterproof vinyl flooring. 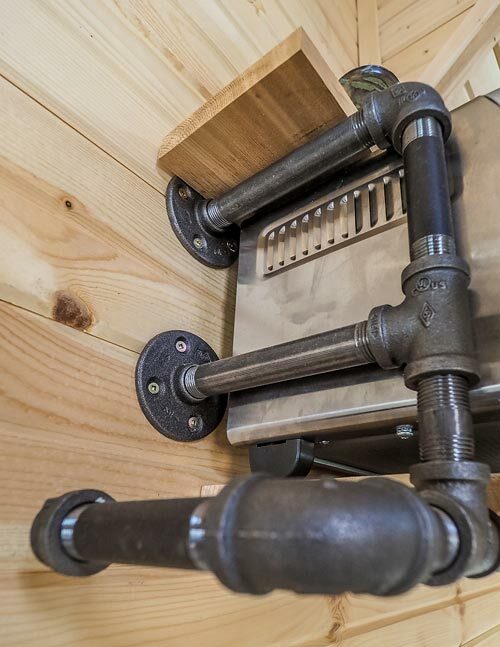 The custom vanity was made from pallet wood, 2″ thick spruce, and a galvanized steel bucket for the sink. 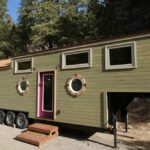 For more information about the Raven you can contact Blackbird Tiny Homes. 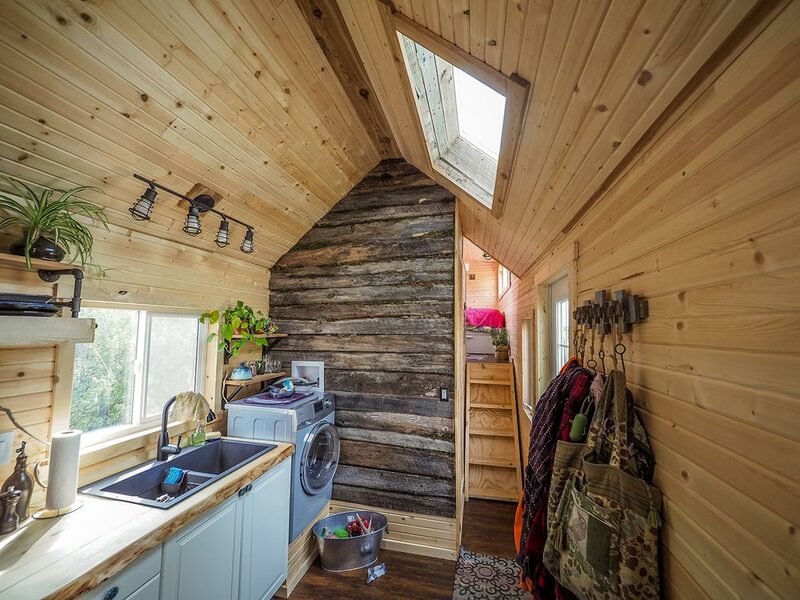 Also available from Blackbird Tiny Homes: Crow.